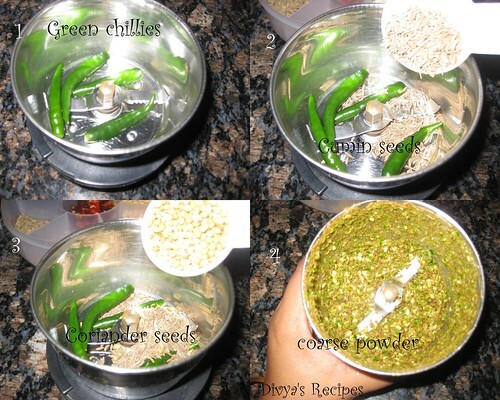 Dry grind into a coarse powder green chillies,coriander seeds and cumin seeds.Keep it aside. Take a wide pan and add oil to it. 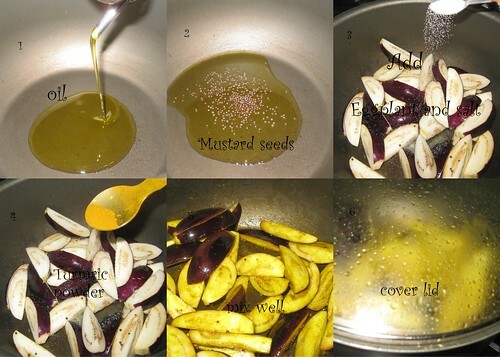 Add mustard seeds and let them splutter.Add sliced eggplants,turmeric powder and salt mix well. Cover and cook for 2-3 minutes(make sure they don't become mushy). Uncover and mix the desired amount of the dry powder (made above,save the rest for future use). Add coriander leaves mix well. Fry for 4 to 5 minutes.switch off the flame. Sprinkle more coriander leaves and mix well. Interesting ingredients, looks tasty too. Inviting dry eggplant dear. Looks fabulous and mouthwatering. Looks tempting and yummy with roti. 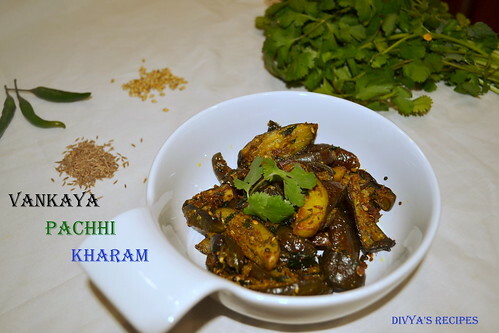 Brinjal fry looks yummy! adding only chillies and spices is interesting! Very aromatic and droolworthy curry. 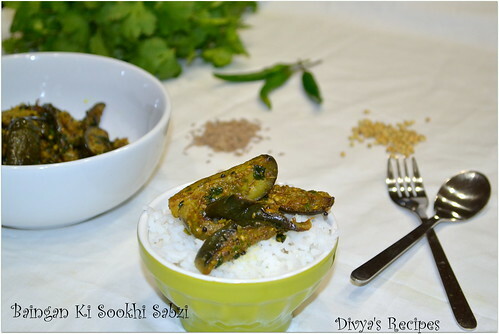 Very inviting and yummy sabzi...looks so tempting. Looks so yummy , pass me..
Lovely Fry.. I can have this as snack! wow..v inviting n tempting flavor dish!! 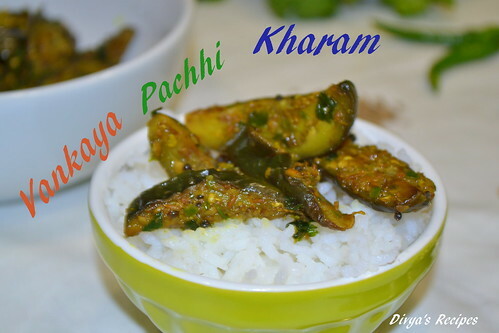 so simple and flavorful fry. Looks yummy! Drooling over here! 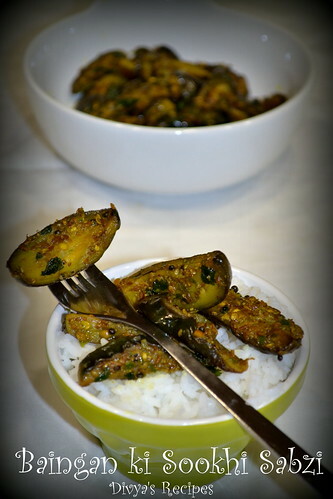 Eggplant fry looks very nice...crispy and yummy ! Reminds me of my neighbour who used to mke this dish so well and share with me too! Nice pics as well. Spicy and looks so yum! Tempting curry Divya!! 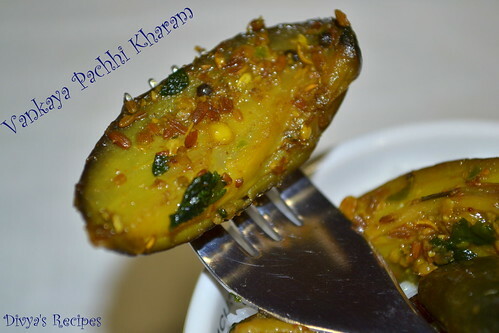 Love to make it soon..
A very nice side dish !